Race #2 – Online Registration Now Open!!!! “The luck thing – really there’s no such thing as good luck. It’s good preparation and hard work”. Are you ready for Race #2 of the Ottawa-Gatineau Karting Championship (OGKC) scheduled for Sunday, May 29th? For the Junior, Senior, and Masters categories, this is also Race #2 of the Briggs & Stratton Weekly Racing Series (WRS)! Are YOU ready to race for the championship(s)? The 2016 season started off really well with over 20 racers participating in the Junior, Senior, Masters, and Rental-kart categories in pretty cool and sketchy weather conditions – how many participants will we have for Race #2? *The next Rental Kart Challenge Race is currently scheduled for June 12th. 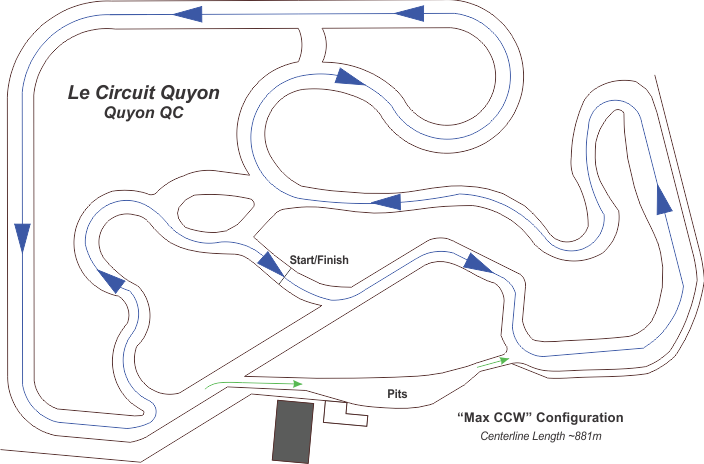 Note that due to unforeseen circumstances, the venue has recently been switched from Karters Korners to Le Circuit Quyon. We will be welcoming members of the National Capital Kart Club (NCKC) to Race #2 of the OGKC – the more the merrier – this will make for some really exciting racing! *Special rate for online registration! Multiple Class and Family Discounts cannot be combined. Family Discount applies to first four(4) drivers per family, additional drivers at $35/$25 each. For Saturday lapping, the cost is $30 for LCQKC members, and $50 for non-members. Please remember to bring your medical waiver (if this is your first event), tech form, and parental waiver (if applicable) to the race. Links to the forms are available at the membership link noted above. The drivers meetings will start Sunday morning at 8:45 am, and track sessions will start at 9:10 am sharp. The spec fuel is Stinson regular unleaded from Poste Essence et Epicerie Claude in Quyon. Be sure to review the supplemental information prior to the event, which provides information about the track layout, gridding procedures, points, schedule, etc. Race specific information will be posted on the website shortly. All competitors should also be familiar with the OGKC Series Supplemental Regulations, and the OGKC Race #2 Supplementals! Let’s make Race #2 a great one – see you at the track!